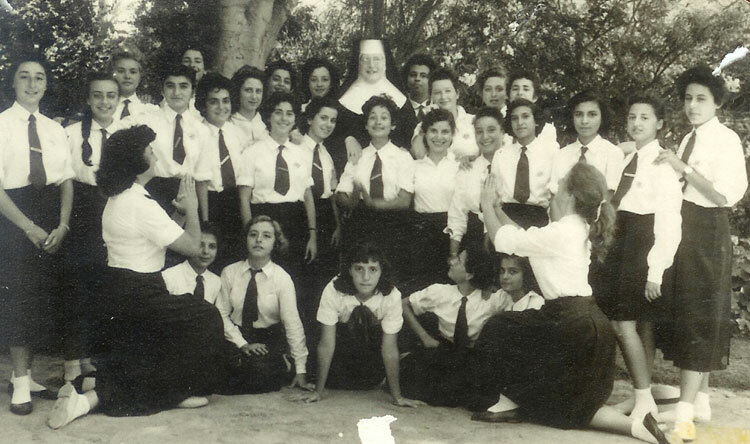 The following girls are on the picture : Sister Mary Lionella, Nouha Aly Shaat, Muriel Lambert-Carrez, Eliane Fares, Victoria Antoun Basili, Soheir Sami, Maali el Fouly, Reine Barzilai, Helen Dibitondo, Sonia Galiounghi, Victorine Abouchaar, Gladys Vergis, Mireille Gevergian, Marie Ange Malhamé, Iris Farrugia, Danielle Zammaria, Thérèse Fahmy, Patricia Mc Adoo, Marianne Mabro, Nevart Bazirganian, ??, ? ?, ?? What are the postal or e-mail addresses of the girls ?